The Chicago White Sox promote responsible drinking and positive fan behavior at Guaranteed Rate Field. The White Sox Fan Code of Conduct and the details of the White Sox alcohol management plan that appear below ensure that fans have a safe and fun experience. 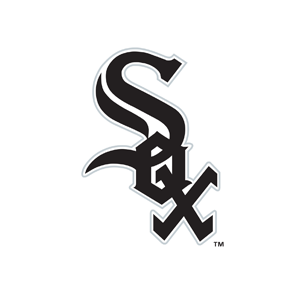 There is no smoking in Guaranteed Rate Field pursuant to the Smoke-Free Illinois Act 95-0017. Guests will show their tickets when requested and sit only in their ticketed seat. Guest Relations Booth Guests may seek assistance from any Guaranteed Rate Field employee. Additionally, there is a Guest Relations Booth located on each level of the ballpark directly behind home plate as well as outside Gate 4. The Guest Relations Booths are open to serve you from the time the gates open until the ballpark has cleared following the game. Guest Service Representatives Guest Service Representatives are stationed throughout the ballpark to assist you and enforce ballpark rules and regulations. If someone is interfering with your enjoyment of the game, please contact a Guest Service Representative. If approached by a Guest Service Representative, please treat them with courtesy and respect. By enforcing rules, our Guest Service Representatives are making the ballpark a safer and more comfortable environment for all guests. The Budweiser Good Sport Responsible Fan booth is located behind home plate on the main concourse. Guests can also sign up on the 300 and 500 levels at the Guest Relations Booths behind home plate through the 2nd inning. Registrants must be 21 years of age. In return for promising responsibility, a registrant will receive one (1) coupon for a non-alcoholic beverage during the game from any All-Star concession stand.